To start with, let me say I was planning this press conference a little bit later, definitely not this afternoon. After the phone call with the Swedish Prime Minister Reinfeld yesterday and after the disclosure of the contents of our conversation that – according to our agreement – was to stay confidential, a number of speculations appeared that I’d like to stop. Also today’s meeting with the President of the European Parliament J. Buzek leads me to the conclusion that it is time to say publically something more concrete about my attitude towards this problem. It was not my intention to unnecessarily speed up this important process, because the Lisbon Treaty is now being examined by our Constitutional Court. What I want to tell you now has no immediate connection with the decision making of the Constitutional Court. Most people are not aware of it, but the Lisbon Treaty constitutes a fundamental change for the Czech Republic. As you know, I have always considered this treaty a step in the wrong direction. It will deepen the problems EU is facing today, it will increase its democratic deficit, worsen the standing of our country and expose it to new risks - among other things also because it endangers the legal status of the citizens and the stability of property rights in our country. An integral part of the Lisbon Treaty is the Charter of Fundamental Rights of the European Union. On its basis, the Luxembourg Court of Justice of the EU will assess whether the legal provisions, customs and practices of the EU member countries comply with those of the Charter. That will make it possible to bypass Czech courts and to raise property claims e.g. of those displaced after WW2 directly before the Court of Justice of the EU. The Charter makes it possible to reexamine even those decisions of the Czech courts that are legally binding. Last Czech government did not pay enough attention to this – for the Czech Republic so vitally important – question and did not negotiate an exemption from this Charter such as Poland and United Kingdom. In these two countries, the rights listed in the Charter will be assessed according to the laws existing in these countries and e.g. in Poland decided by the Polish courts. Before the ratification, Czech Republic must at least ex post negotiate a similar exemption. 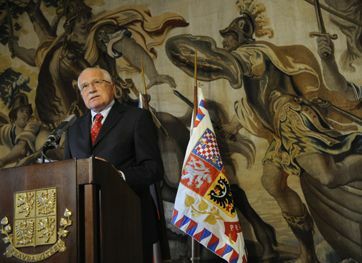 This will guarantee that the Lisbon Treaty will not lead to the breach of the so called Beneš Decrees. I think this exemption can be solved quickly.